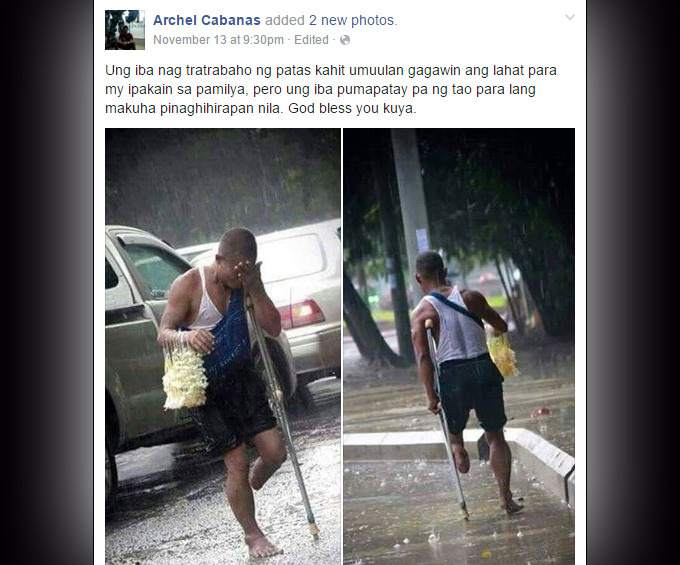 Photos of a disabled vendor who tried to sell Sampaguita in the middle of the rain just to make ends meet touched the hearts of netizens. In the pictures posted by a certain Archel Cabanas, the unidentified man is seen vending strings of Sampaguita flowers to motorists in an undisclosed location despite the heavy downpour. 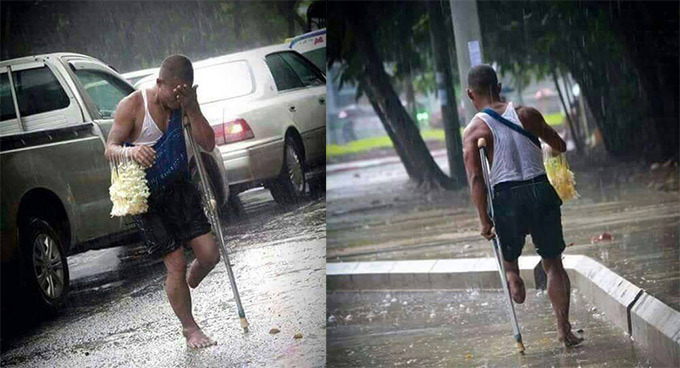 He obviously underwent a below-knee leg amputation and had to walk through the busy streets barefooted, but such challenges did not stop him from striving hard for the sake of his loved ones. If he doesn't sell Sampaguita at any given day, he won't be able to buy and bring food on the family's table. The amputee has become an inspiration to many. The disabled Sampaguita vendor has proven that no one should make excuses for being irresponsible, unmotivated or lazy.